Malbec Renaissance in Bordeaux as a Result of Climate Change? Though Malbec was historically a major planting in Bordeaux, providing color and fruit to the blend, in the 20th century, it started to lose ground to Merlot and Cabernet Franc due, in part, to its sensitivities to so many different vine ailments (coulure, downy mildew, frost). The severe 1956 frost wiped out a significant portion of Malbec vines in Bordeaux. One can, however, observe a comeback of Malbec in Bordeaux. Some experts predict that if Bordeaux becomes hotter due to climate change, Malbec would have a chance to ripen more consistently and you may start to see much more Malbec in Bordeaux blends in years to come. This posting is being published as part of the Weinrallye, a monthly blog event in Germany. Participating wine bloggers - mainly in Germany - are all releasing postings today under the heading "climate change". Weinrallye is the brainchild of Thomas Lippert, a winemaker and wine blogger based in Heidelberg, Germany. The first wine rally took place in 2007. Thomas Lippert is the author of the wine blog Winzerblog. 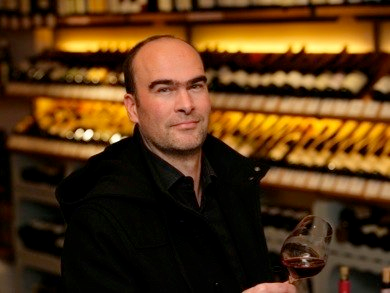 This month's wine rally is organized by Torsten Goffin, who runs the food and wine blog “Glasklare Gefuehle”. Overall, Malbec is at a low in France currently, but may stage a come-back. Over recent decades, the popularity of Malbec has been steadily declining with only 6,000 hectares remaining. Its stronghold remains Cahors where AOC regulations stipulate that Malbec must compose at least 70% of the blend. Outside of Cahors, Malbec is still found in small amounts as a permitted variety in the AOCs of Bergerac, Buzet, Côtes de Duras, Côtes du Marmandais and Bordeaux. Cahors wines have a long history. The wine industry was developed by the Romans, who planted vines in Cahors even before they got to Bordeaux. The “black wine” of Cahors reached its heyday in the Middle Ages, when they were on the table at the marriage of Eleanor of Aquitaine with Henry II of England in 1152. But Bordelais winemakers saw the Cahors wines as a competitor to their own wines and introduced taxes and levies that hindered Cahors’ export out of Bordeaux, and, in turn, its reputation. In addition, in the late-19th century, phylloxera nearly destroyed the wine business in Cahors. The vines recovered eventually. Things looked pretty bleak until 1971, when Cahors achieved AOC status. The dominant grape variety in AOC Cahors wines is Malbec, which must make up a minimum of 70% of the wine, with Merlot and Tannat making up the rest. Cahors wines are notoriously tannic when young, benefiting greatly from aging. Malbec is one of the six permitted red grape varieties - Cabernet Sauvignon, Cabernet Franc, Merlot, Petit Verdot, Malbec and Carmenere - in the Bordeaux region, but in contrast to Cahor only rarely used in Bordeaux blends today. Chateau Haut Bailly in Pessac Leognan is one of the producers that has reportedly all 6 red grape varieties growing in its vineyards. Château Cheval Blanc uses a tiny amount of Malbec in its blend as do Chateau L’Enclos and Chateau Gruaud Larose. Examples of famous châteaux that use Carmenere are the Fifth Growth Château Clerc Milon and the Second Growth Château Brane Cantenac. Only the regions of the Côtes-de-Bourg, Blaye and Entre-Deux-Mers have any significant plantings in Bordeaux. However if you go back to the year 1855 when the famous Left Bank Classification of 1855 was established, all chateaux had Malbec in their vineyards. At that time, Malbec was the most planted grape in Bordeaux, probably up to 60%. First Growth Château Lafite’s vineyards, for example, were dominated by Malbec and First Growth Château Latour was mostly Malbec and Cabernet Sauvignon. In Saint Emilion, on the right bank, Malbec was known as Noir de Pressac and very popular. Nowadays the Bordeaux appellation with the highest percentage of Malbec under vine is the Côtes de Bourg. The leader of the Bourg and Blaye Malbec gang is Chateau Bel-Air la Royere in the AOC Blaye. Chateau Bel-Air la Royere is owned by Xavier Loriaud and his wife Corinne Chevrier-Loriaud. Xavier and Corinne bought the run-down estate in the 1990s, when Xavier was working as a wine consultant, mainly with Medoc chateaux. In the beginning, they sold the wine in bulk but started to bottle it in 1995. In the meantime, Xavier has moved on and become a politician, while his wife Corinne has taken over the management of Chateau Bel-Air la Royere. She is assisted by winemaker Christian Veyry. 25% of the 23 hectares of vineyard area is accounted for by Malbec, with the Malbec plantings dating from 1947, 1949, 1953 and also some from the 2000s. Merlot accounts for 65% and Cabernet Sauvignon for the remaining 10%. In addition to their Bel-Air La Royère, which is 25% Malbec, Chateau Bel-Air La Royère also produces the only single variety Malbec in Bordeaux – Malbec Fig. 10. I do not know if this done every year, but the he 2006 Malbec Fig. 10 is currently sold in Germany for Euro 20 retail. I like very much the winemaker dinners at Taberna del Alabardero in Washington DC. It is always a great atmosphere, great food and great wines. The winemaker dinners typically take place in a separate room, where you can see through a glass window Chef Javier Romero and his team preparing the food. The Taberna del Alabardero is a renowned Basque restaurant in Madrid owned by Luis Lesama - a Madrid classic. The Taberna Del Alabardero in Washington DC (opened in 1989) is his only venture abroad (after he closed Seattle); it is arguably the best Spanish restaurant on the East Coast of the US. In addition to the superb menu and wine list, the decor is impressive and almost screams you'll be treated like royalty. We both times dined in one of the private rooms that feature dark walls, gold embellishments and a pretty chandelier. Vincente Dalmau Cebrián-Sagarriga, Count of Creixell, the owner of Spain's famous Bodegas Marqués de Murrieta, came to the Taberna del Alabardero in Washington DC to introduce us to his wines. Pictures: Vincente Dalmau Cebrián-Sagarriga, Count of Creixell, Chef Javier Romero and Sommelier Gustavo Iniesta. Esparragos Verdes y Bacon con Salsa Remoulade - Green Asparagus and Bacon with "Remoulade Sauce"
Debuting with the 2010 vintage, the new Pazo Barrantes logo reveals the wine's floral characteristics: fresh fragrances of white flowers, camellias, hydrangeas and leafy white petals. A classic Rioja red: 84% Tempranillo, 13% Garnacha, 3% Mazuelo. The traditional flagship wine of Marqués de Murrieta. Made only in exceptional years. Tabla de Quesos a Mi Manera - Spanish Cheese Selection "Chefs Way"
Bernardo Luna Beberide founded the Bodegas y Vinedos Luna Beberide in 1987, 2 years before Bierzo received its DO status. The Luna family planted Bordeaux grape varieties, including Cabernet Sauvignon and Merlot and those grapes find their way into the winery's top blends, with Mencia as the base. Because of the international grapes, the wines have to be labeled Vino de la Tierra de Castilla y Leon rather than Bierzo DO. Today, Bernardo’s son Alejandro Luna Beberide – who I met in Washington DC - is the Owner. Alejandro is a charming guy, but you had to speak Spanish in order to follow him or listen to the interpretation of Aurelio Cabestrero. Alejandro lived and studied toward his Bachelor’s and Law degrees in Madrid for 10 years, before taking over the estate in 2001. The estate comprises 70 hectares of vines, ranging in age from 20 years for international grapes to 60 years for Mencia. The estate has 1.5 hectares of Godello. “It is selling very well,” said Alejandro. The Berlin Gutsriesling Cup 2012 took place in May 1012 in Berlin, Germany, orchestrated by Martin Zwick. “Gutsriesling” is a combination of Gutswein and Riesling: Rated were wines that fulfilled the two criteria – being a Gutswein and a Riesling. In contrast to the German standard classification system of 1971, which is based on a pyramid of sweetness of the grapes at the time of harvest, the classification of the VDP puts the terroir principle at the center of its classification approach, while the ripeness criterium has been moved to the backburner and indeed for dry wines completely removed. The VDP currently distinguishes 3 quality levels. (It should be noted that the VDP classification system is still evolving; the VDP recently decided to add a fourth layer in its classification system). The top level: ERSTE LAGE - Wines from the top single vineyards. Maximum yield of 50hl/ha. Minimum must weight equivalent to Spätlese. The middle level: ORTSWEIN (Village Wine) – From selected, very good vineyards. Maximum yield of 65hl/ha. The lowest level: GUTSWEIN (Estate Wine) – The producer’s entry-level wines, can come from any of the estate’s vineyards. Maximum yield 75hl/ha. Worldwide, there are about 34.000 hectares planted with Riesling. Germany – with 22.400 hectares – accounts for 2/3 of the total. The second largest Riesling producer is Australia, with 4500 hectares. But this is only about 1/10 of the total. Alsace follows with 3500 hectares. Austria, the US with Washington State and New York State as well as New Zealand make up the remainder. But overall Riesling is really a niche wine, accounting for only less than 1 percent of total wine production in the world - but a very special niche wine. Martin Zwick is also known for organizing the Berlin Riesling Cup every year. While the Berlin Gutsriesling Cup reviews and rates entry-level Rieslings of VDP Estates, the Berlin Riesling Cup is about their dry grand cru (Grosses Gewaechs) wines. The first large tasting of the Grosses Gewaechs wines of a vintage takes place a bit less than a year after the harvest, in the city of Wiesbaden, Germany, in early September, with a group of perhaps 100 national and international wine journalists, at the invitation of the VDP (GG-Vorpremiere). Martin Zwick is one of them. On the basis of his impressions and those of others, he then selects what he believes are the top wines from the Grosses Gewaechs wines presentation in Wiesbaden, adds a few other super-premium Rieslings from non-VDP producers or Grosses Gewaechs wines not presented at the VDP tasting in Wiesbaden and invites a few days later a group of journalists, sommeliers, wine-dealers and Riesling lovers to Berlin for a blind tasting of his selection (3 dozens or so). This event has become known as the Berlin Riesling Cup. It is the first rating of the Grosses Gewaechs wines of a given vintage. 28 entry-level wines of 28 elite producers in Germany were tasted by a group of wine experts and rated in a 100 points system. Here are the results. The fifth Virginia Wine Lover Magazine Wine Classic, organized by the Virginia Wine Lover Magazine, took place in Suffolk, in the south of Virginia during the day of Monday, 21 May. 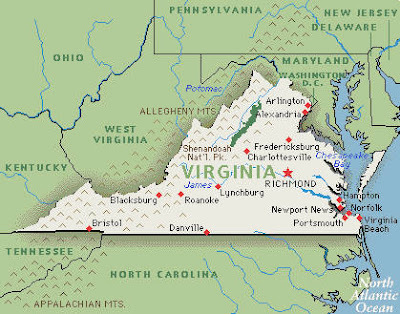 The results will be released in the coming issue of the Virginia Wine Lover Magazine. The tasting started at 10:00 am and we finished at around 4:00 pm, including a lunch break. We were 11 judges, with most of the judges from the restaurant scene in the Norfolk/Suffolk/Virginia Beach area. There will be platinum, gold, silver and bronze medal awards. There will be multiple winners in each category. Thus, each wine submitted will get a medal. 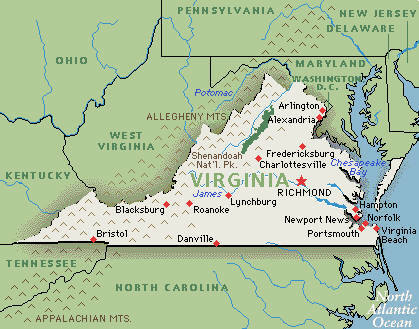 The results will be released in the coming issue of the Virginia Wine Lover Magazine.